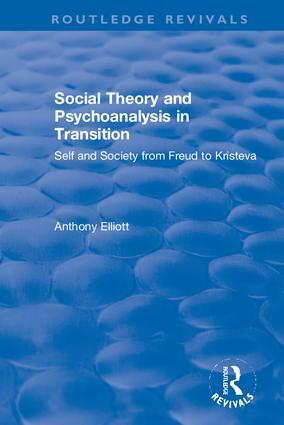 The volumes in this set, originally published between 1992 and 2004, draw together the early works of Anthony Elliott, in the field of social theory. The collection covers some of his major works in the field of sociology, with a focus on psychoanalysis, social theory, modern culture, and cultural theory. This set is a celebration of the prolific collection of early works written or co-authored by Anthony Elliott.